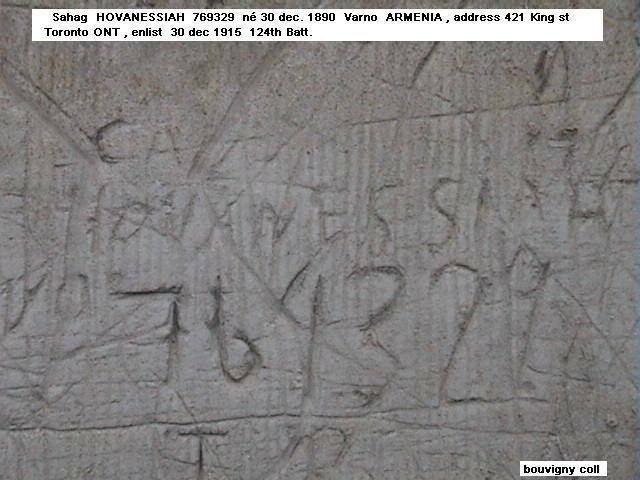 Source: Patrice Machin’s post of this soldier’s inscription in stone at the Bouvigny-Boyeffles. Inscription of this 18th Battalion soldier in stone at the Bouvigny-Boyeffles, France. He earned the Military Medal. 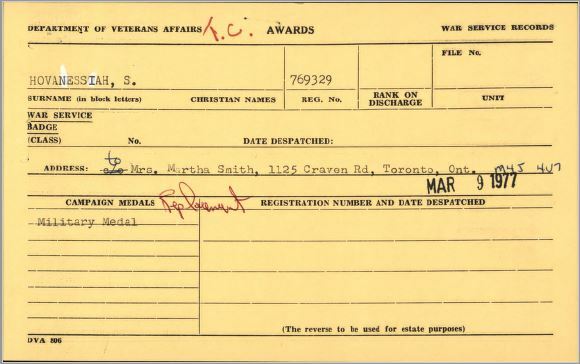 A replacement was requested by a Mrs. Martha Smith of 1125 Craven Road, Toronto, Ontario, M4S 4V7 recorded on March 9, 1977 by the Department of Veterans Affairs. I wonder what the connection is between this soldier and this woman? 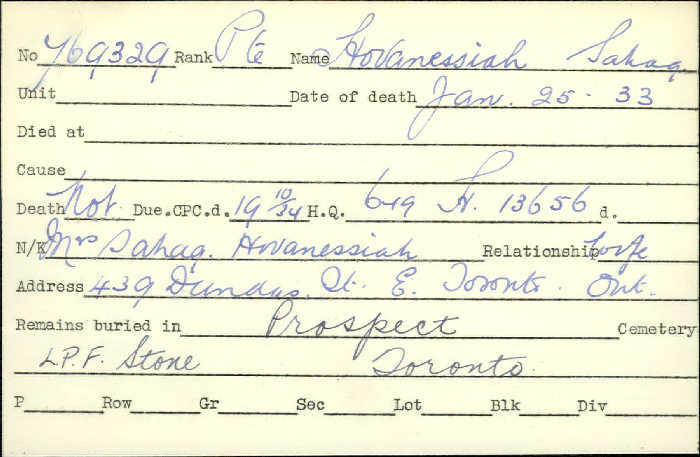 She would most certainly have been a relative.